What is the Legacy Walkway? The Legacy Walkway is comprised of inscribed Legacy Bricks permanently installed throughout The Historic West Hunter Street Baptist Church front entrance walkway beginning with an inaugural section that will run parallel to the front entrance stairway. Once completed, this will connect with an expansive network of interlocking brick pathways surrounding the front entrance. 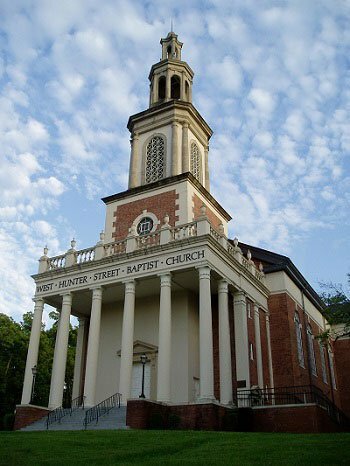 The permanent installation of the walkway is designed to be an effective means to recognize in perpetuity, members, families, friends, organizations, and businesses that have contributed to Historic West Hunter Street Baptist Church. What is a Legacy Brick? In recognition of contributions of $125.00; $250.00; $500.00 or more, Historic West Hunter Street Baptist Church will permanently install an engraved brick in its Legacy Walkway bearing the name of the donor or the donor’s honored designee (e.g., a family member, friend). 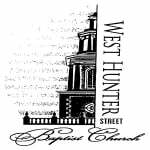 Just imagine, for years to come, you will have the pleasure of visiting the Historic West Hunter Street Baptist Church Campus and viewing this enduring testament to your support for Historic West Hunter Street Baptist Church. An inscribed Legacy Brick is an ideal way to support Historic West Hunter Street Baptist Church and honor members, families, friends, organizations, and businesses for years to come.